Social commerce is a small but growing part of the e-commerce landscape. In recent years, the conversation has evolved from social referrals to in-network, “buy now” push-button purchase solutions. However, buy buttons present technological challenges and don’t really match up with the purchase intent of social media users. 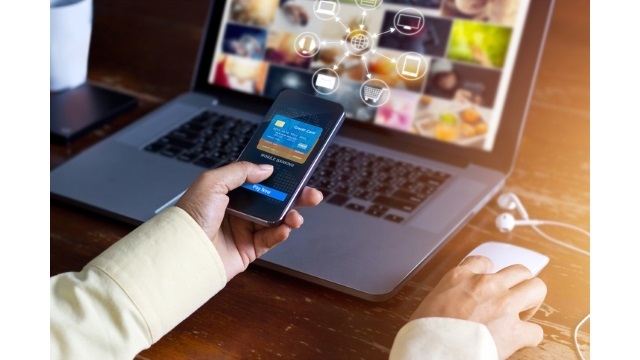 Social commerce is still in its infancy compared with other online commerce solutions, according to Kevin North, CEO of analytics provider Terapeak. If the field is to mature, marketers and retailers need to take a thoughtful approach to investing in social commerce. While the market is not yet there, it wouldn’t take a lot to meet consumer expectations and pass some of the pressing challenges. (Social commerce is) still more than a bit “Wild West” in its character and more than a bit “underground” in its presentation. Ask shoppers where they’ll make their next planned online purchase, and they’ll name eBay or Amazon. Ask them where they’d go if they had to make the purchase using social e-commerce, and most would struggle to answer the question. This lack of maturity may also be compounded by customer perceptions of social media and e-commerce as distinct entities. Amazon and eBay are akin to department stores, Hsaio notes, but social media is seen more as a place to socialize, and the limited number of products that appear there provide a shopping experience closer to a flea market or craigslist. Make the connection: Connect your social presence to your traditional sales channels, inform customers about new social purchase options and provide support. Create a destination: Remove the concern about insecure social shopping by providing secure marketplaces and inspire trust by proving that you are more than a “social-only” company. Offer variety: Provide more purchase options through social to inform customers of new products of services you offer, while also informing them of other options by linking back to your other sales channels or websites. Get integrated: Your social shopping experience can’t be siloed from the rest of your business. Customers should be able to access all purchases and purchase history regardless of platform. Provide support and interaction: Providing support through social and interacting with your audience regularly are things you can do right now that could lay the groundwork for future brand success in social commerce. Social commerce will definitely go mainstream for certain kinds of items—the ones mentioned earlier in the luxury personal and lifestyle space. These are products that people love to attach to their identities and admire with their friends—which is what social is all about. However, it’s unlikely that social commerce will provide each and every thing that the customer needs, in its current incarnation. For commodity and everyday shopping goods, the water is murkier … Shoppers will continue to have a great many “lists” that they need to take “shopping” with them … and in those cases, the importance of selection, convenience and easily accessible record-keeping and customer support currently outweigh anything that pure social commerce plays are able to offer.